Driverless Uber and nuTonomy: A Future to Cheer or Fear? 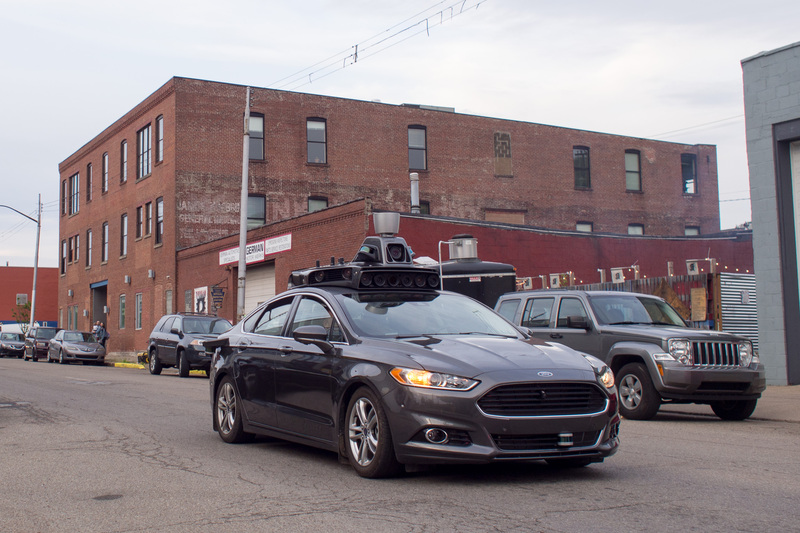 The future is here, or it is very close: Uber announced “driverless” car services in downtown Pittsburgh; nuTonomy, a MIT spin-off technology company, just started commercial trials of autonomous taxis in Singapore. 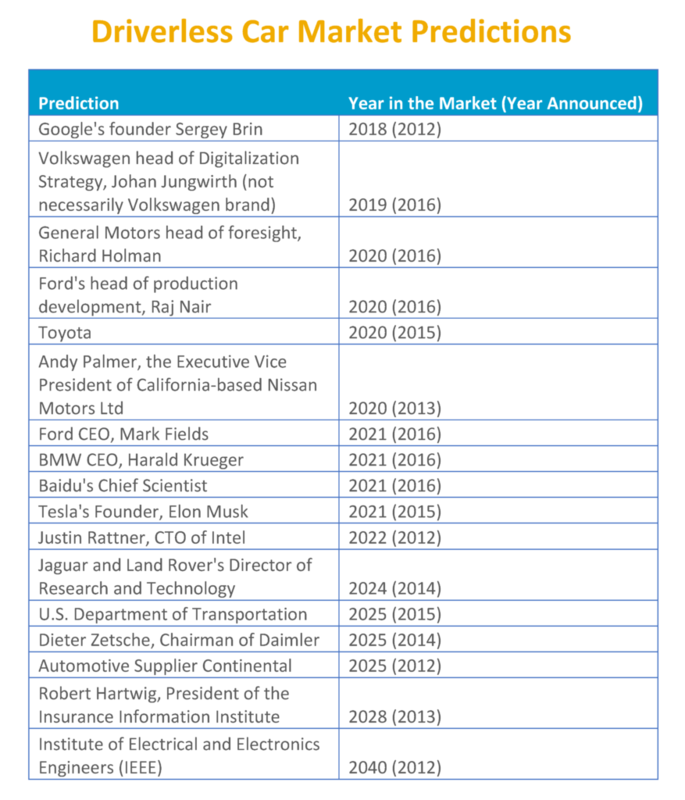 These developments come way before car manufacturers and technology experts have set their ambition (see table below). This seems to be very exciting news, but will the development of autonomous vehicles be similar to other advances in the car industry, like hydrogen fuel cell vehicles or electric vehicles? These technologies are still growing but at a much slower pace than initially expected. Uber and nuTonomy are undergoing full-scale tests, with staff on-board the vehicle: a driver with fingertips on the steering wheel and an expert taking notes and measurements on a laptop computer. For now, a driver is still needed to comply with current regulations. In Pittsburgh, these test rides will be free; you may be selected randomly as the lucky passenger. Still, testing signals a big step for automation in real world conditions that may excite many and reduce fears after Tesla’s assisted driving (autopilot) crashes in the U.S. and China. Dream Come True or Nightmare in the Making? Sci-Fi movies from Dudu in 1971 to The Incredibles and I, Robot in 2004, have sparked our imagination on cars with brains, which take us effortlessly from point A to point B. It seems like a waste of time to operate individual vehicles. With autonomous cars, you can use that time for other activities, like reading, texting or searching for Pokémon without endangering others. The key, according to Chase’s analysis, is having proper regulations so this new technology is used in shared, rather than individual, vehicles: planning rules are changed so parking is no longer a must; the tax system is changed based on pay-as-you-ride and not on ownership; cars are electric and powered by clean sources; and it becomes necessary to rethink labor security and how income is taxed. She claims, and I agree, that the change is here—in Google Autonomous Vehicles in California, Tesla tests and now in Singapore and Pittsburgh, thanks to Uber and nuTonomy. It is best to recognize the high cost of doing nothing, and it is time to seize the opportunity, at least in the U.S. It is important to get all the pieces of this puzzle right, first with adequate regulation for shared mobility, then a good set-up for electric vehicles and finally clear rules for shared vehicles. Do Autonomous Cars Matter in Developing Countries? Probably yes, but we need to be cautious. Most developing countries are still far from being car-oriented. City travel is still mostly composed of walking, bicycling and public transport. This is something that needs to be preserved, rather than replaced, with shared autonomous electric vehicles. The great disruptive invention of the last century, the car, has not yet taken hold in many emerging economies. It is best if cars do not become the predominant mode of transport, as megacities in the global south are also the most congested, polluted and unsafe metropolises of the world. According to Tom-Tom Traffic Index 2016, seven out of the top ten most congested cities are in developing countries, and two are in transition economies. The only city in a developed country is Los Angeles, coming in at number ten. Can you imagine already-crowded Mexico City with “zombie cars” multiplying road congestion? Ignoring the advent of disruptive technologies, like self-driving Ubers and nuTonomys, would be a mistake. But placing policy bets in this future may be an even bigger mistake. Why not still focus on the basics: good urban design, compact and connected with diverse uses; high-quality design for pedestrians, safe bicycle paths and high-quality public transport. At the end of the day, public transport is shared mobility at its best, and some of it is already electric and autonomous: the driverless metro. Autonomous public transport may be the best focus, with last mile connectivity in smaller shared vehicles, providing on-demand flexible services. The vision of zero ownership is very compelling, with safe, autonomous electric cars powered by a clean grid, but it is not complete. It needs to be coupled with an active promotion of walking, bicycling and attractive, efficient public transport. This is not far from what Tim Papanderu, the former the Chief Innovation Officer for San Francisco Municipal Transportation Agency and now Google employee, promoted for his city: 50% shared autonomous electric cars and 50% walking, bicycling and public transport, which contrasts the current 64% individual, polluting and inefficient car use. This may be the basis for a triple zero vision: zero traffic deaths, zero harmful emissions, zero ownership. Uber’s and nuTonomy’s driverless cars (and Google´s, Volkswagen’s, GM´s, Ford’s, Toyota’s, Tesla´s, BMW’s, Dalmier´s, etc.) are very welcome, as long as they are coupled with strong regulations and an adequate transition process, as Robin Chase suggested. Urban Freeways: Putting Out Fire with Gasoline? Friday Fun: Are Driverless Cars a Solution for Road Safety? Friday Fun: Are automated roads the next transport revolution? Would You Drive a Car that Drives Itself?